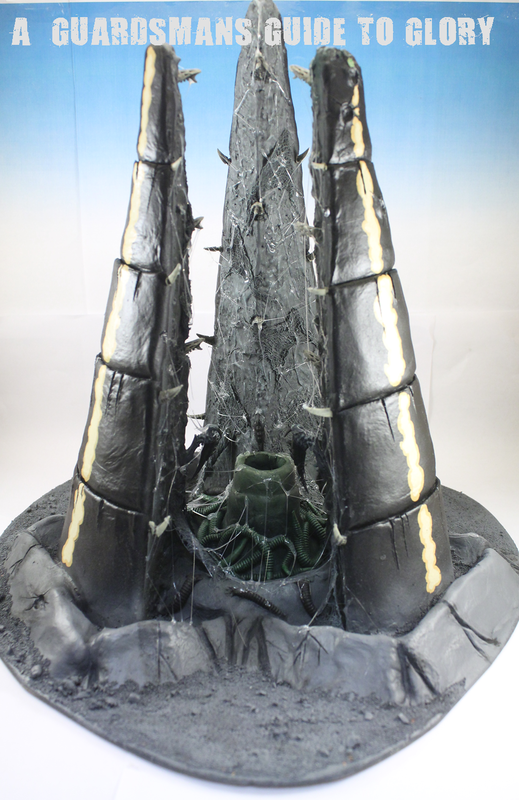 With the successful build of the Capillary Towers I quickly wanted to get the Spore Chimney painted to see if it would look as good! I wasn't disappointed. The application of the 'slime' was quite a lengthy process! It was worth it though. 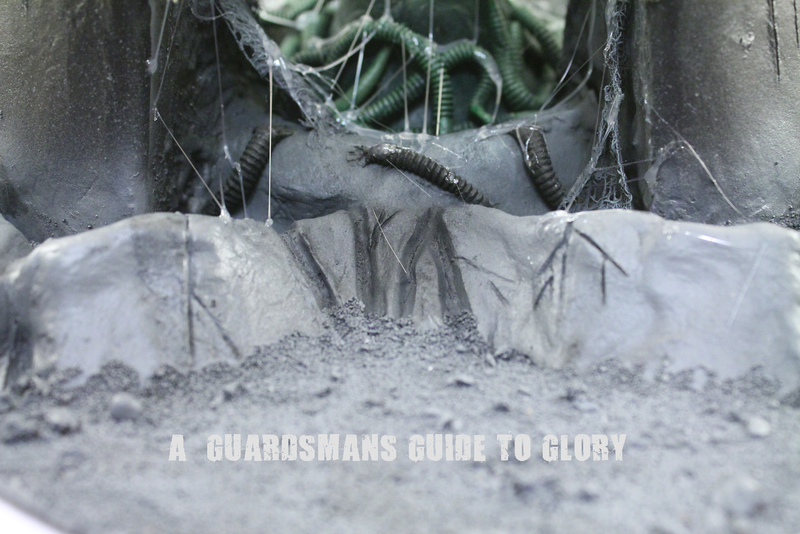 Painting the central tentacles really helped make them pop! 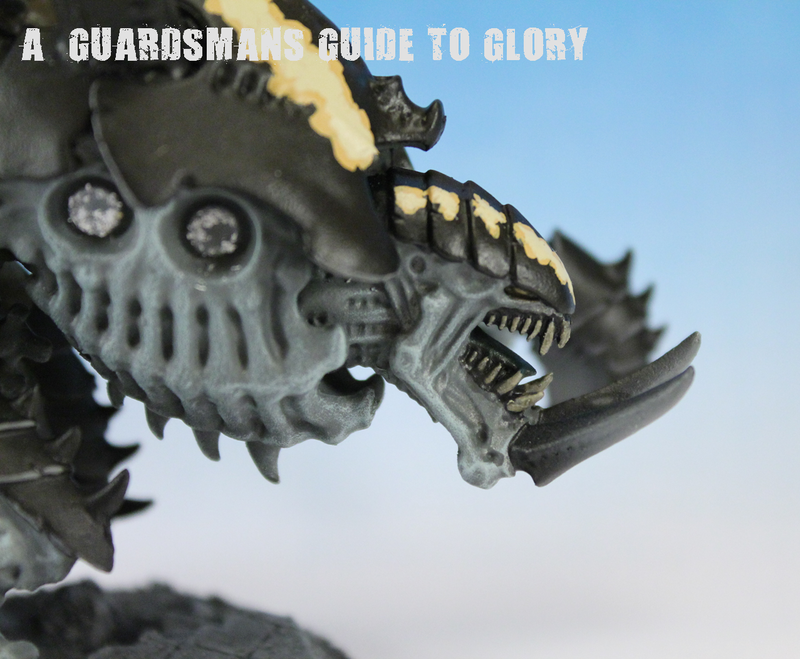 I went with the stripes here for the carapace markings. The broken groundwork was left based in a dark grey as not to distract from the main chimney. Finally a scale shot with some Termagaunts! The latest weapon in the arsenal of the Hive Mind - a Canifex Brood! I've never run 'Fex's before (couldn't tell you why!) but with the dramatic points reduction in this new edition, it was hard not to - if at least to give them a go! 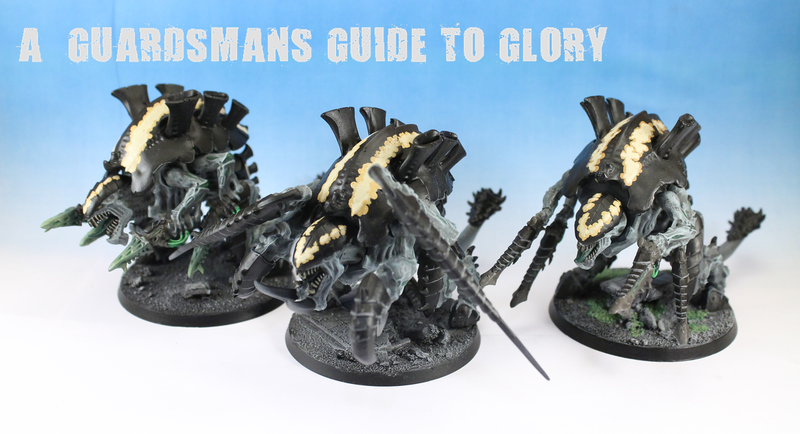 You saw the Crusher Fex in the last post, so here's the completed Dakka Fex with two twin linked Devourers. 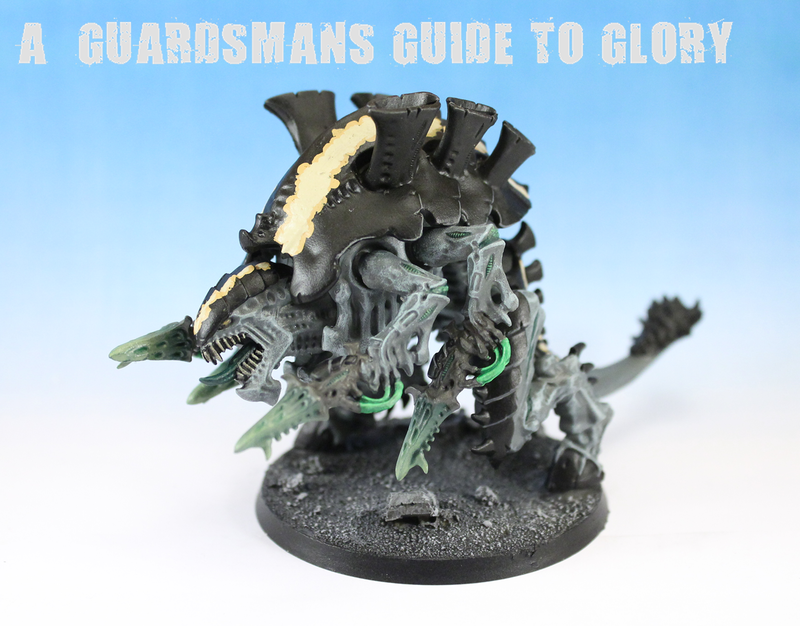 This is the second Dakka Fex - although i've used Deathspitters here until i source some more Devourers (got 2 but need 2 more) Of course the weapons arms are magnetised, so weapons swaps won't be a problem! Looking forward to giving these guys a run out!! 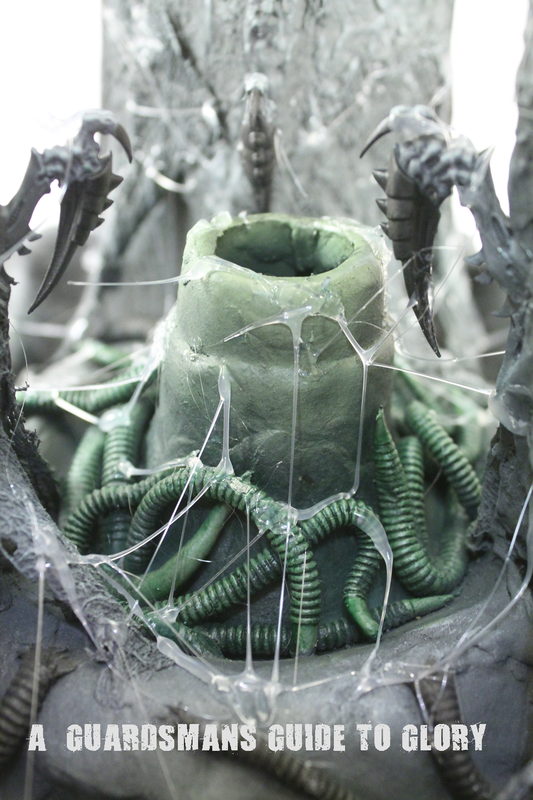 So after the initial experiment making a Tyranid Capillary Tower i decided to have another go, further refining my technique. Firstly, base your quartered polystyrene cone. This time i used a pre cut wooden disc as the base (which looks much neater!). 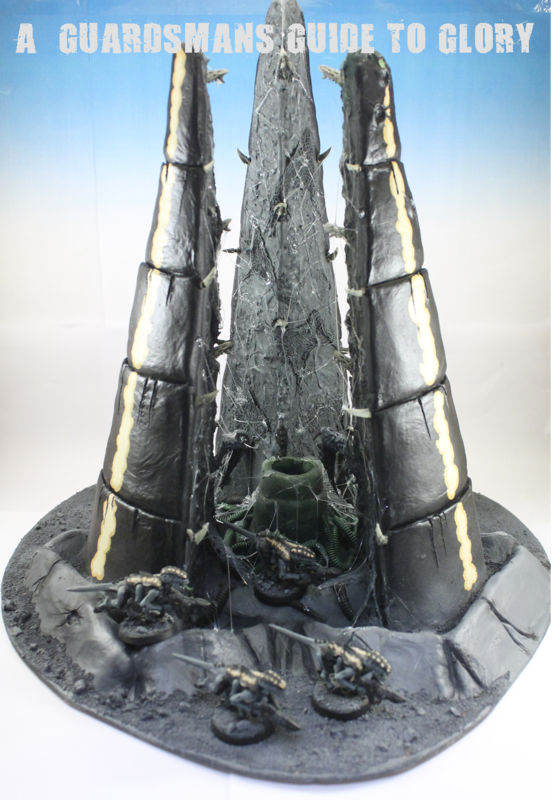 To help create the effect of broken ground around the base of the tower, i glued some foam pieces around the base to assist with the effect. Once they dry, start cutting the ridges into the back of the styrene piece. I roughly measured out the spaces to create a roughly uniform look. These will just provide a guide for when the clay is applied later on. Once the ridges are cut in, take some air-drying clay and begin to coat the back of the tower. 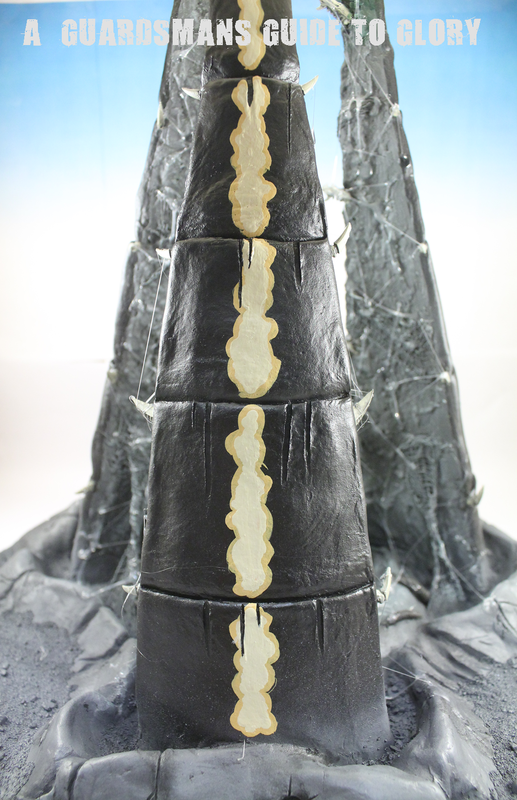 Make sure you coat the tower in a reasonable thickness of clay as this will help you cut details into it later. 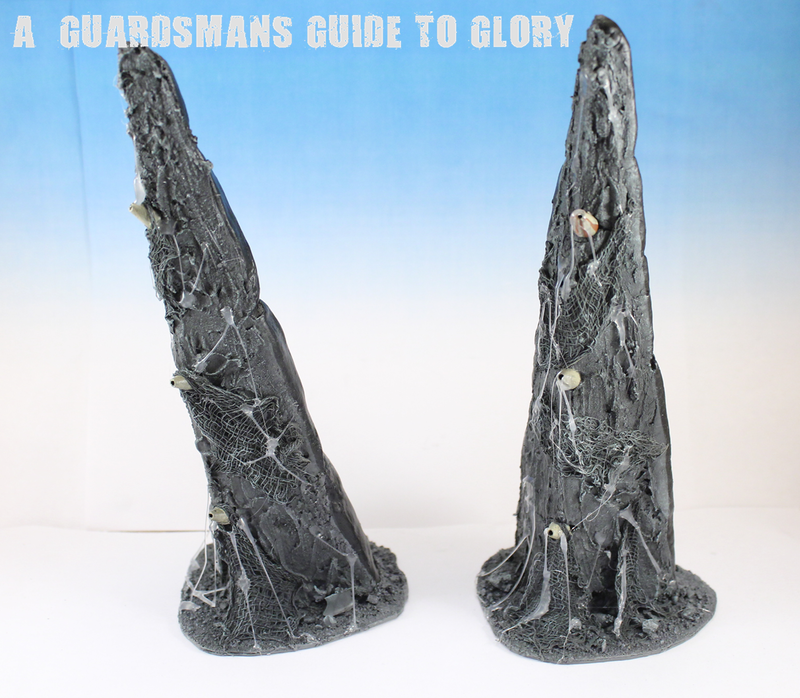 Coat the foam at the base of the tower in clay as well to create the broken ground effect. Once your happy with the shape of the clay, carefully cut some ridges into it, following the cuts made in the styrene foam earlier. For this i used the back of a kitchen knife. The clay will take roughly 24hrs to dry and i recommend waiting before moving to to the next step, otherwise you'll end up putting finger marks in places you really don't want them! Once your happy the clays dry, take some basic polyfilla (or similar). This needs to be applied to the front of the tower. I watered down the filla with water in a 50/50 mix. This obviously makes it more runny, and will hopefully give the filla a more organic look when dry. 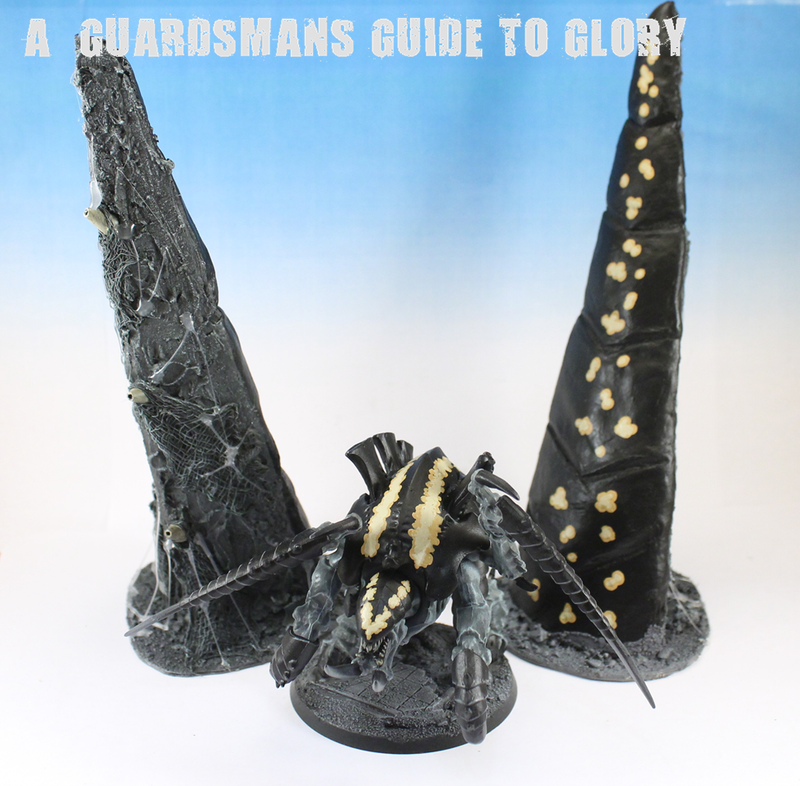 Try to cover every surface of the styrene so it doesnt melt when you spray it later on! 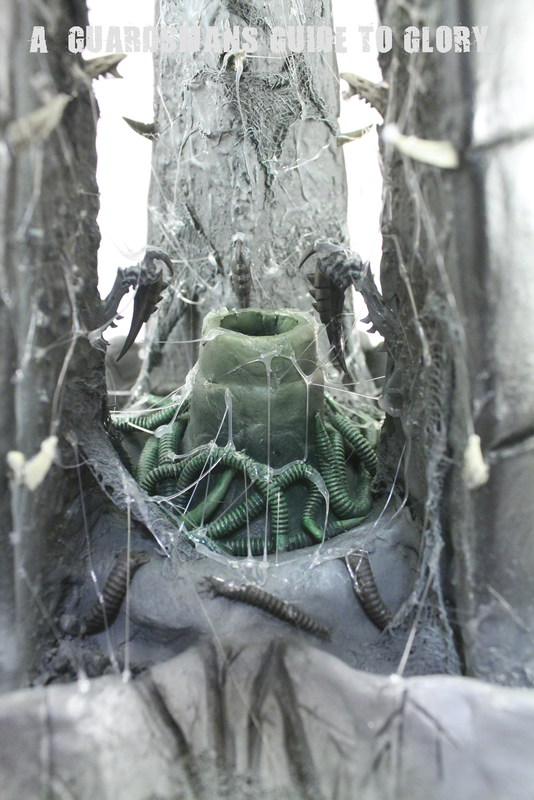 Give this an hour of two to dry before adding some texture to the front of the tower with some medical gauze soaked in PVA glue. At this stage you'll also need to add some 'spikes' in the front of the tower. You could use anything for this, as long as its vaguely pointy! This is great at creating an organic feel. Make sure you stretch the gauze between different sections of the tower. Base the tower with some sand, and your build is complete! Give it another 24hrs to let the gauze dry and get painting! 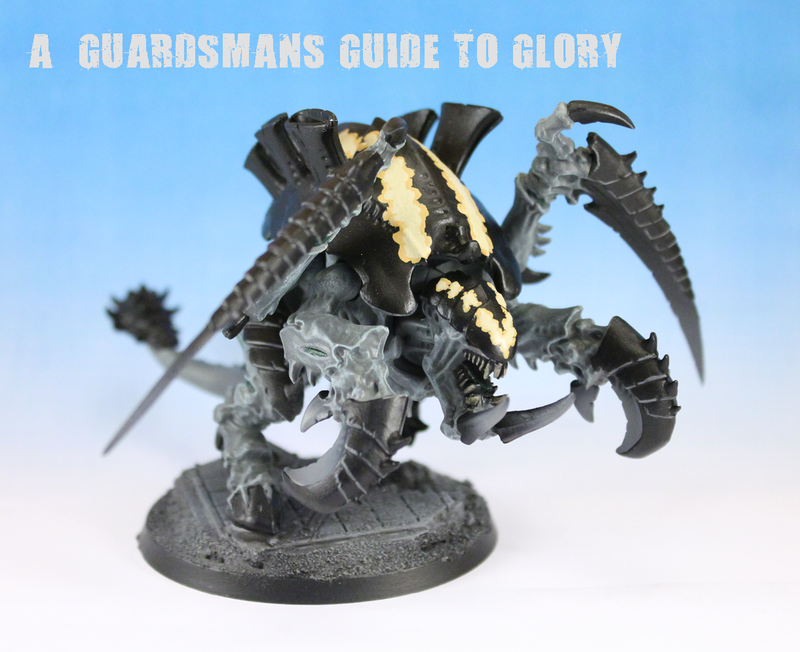 I went with the same colour scheme i used for the rest of my 'Nid army, but you might want to go for something more neutral. After painting and varnishing i added one final touch - slime! 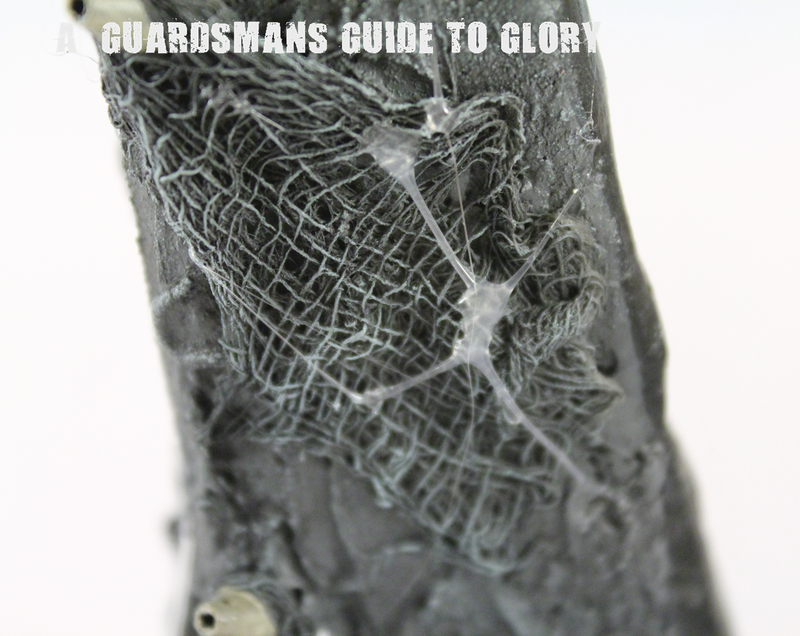 I did this using a hot glue gun, stringing the glue between different sections of the tower. 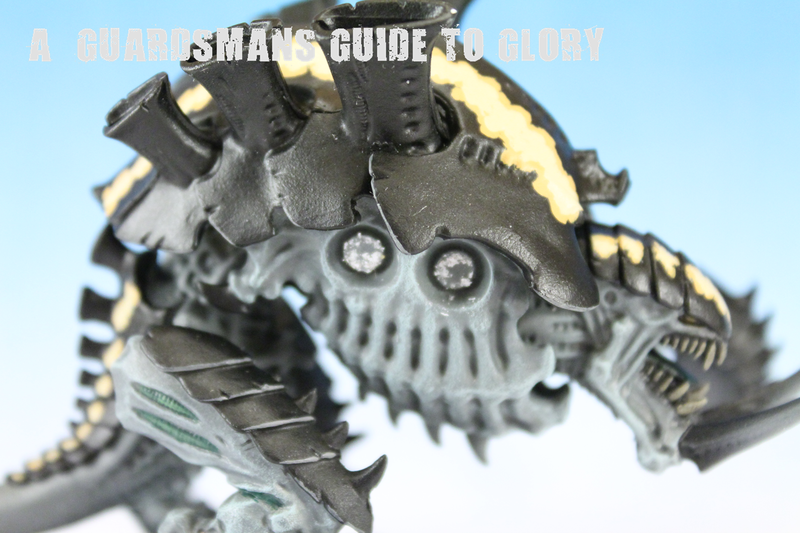 Do this after varnishing, otherwise the glue would go cloudy with the vanish. 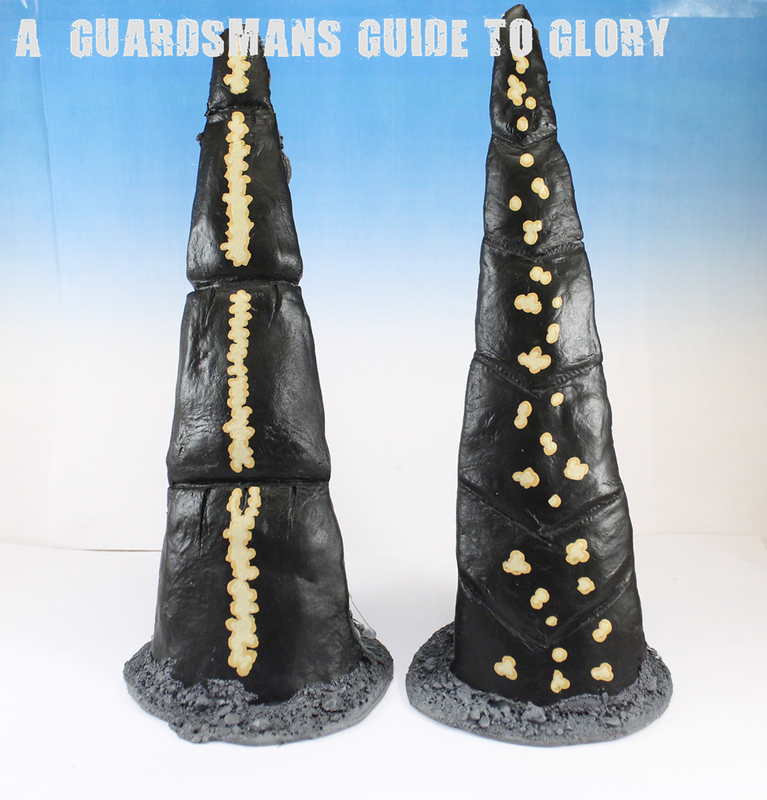 I couldn't decide whether to go with spots or stripes on the back of the towers - what do you guys think? Scale shot with the Crusher Fex! A close up of the 'slime'. This was really easy to achieve, i think it really makes the towers pop! The first of the 3 new 'Fex's are complete - the Crusher Fex got first dibs! 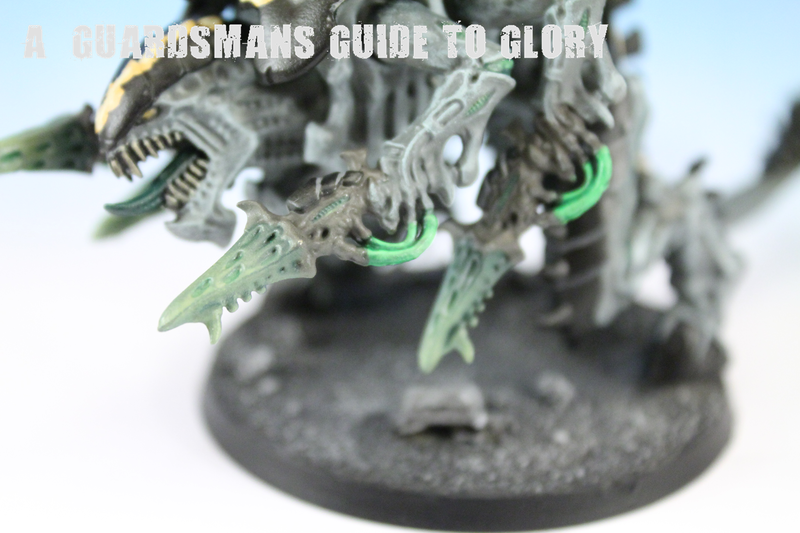 The colour scheme from the rest of the army was easily applied, with a few extras. 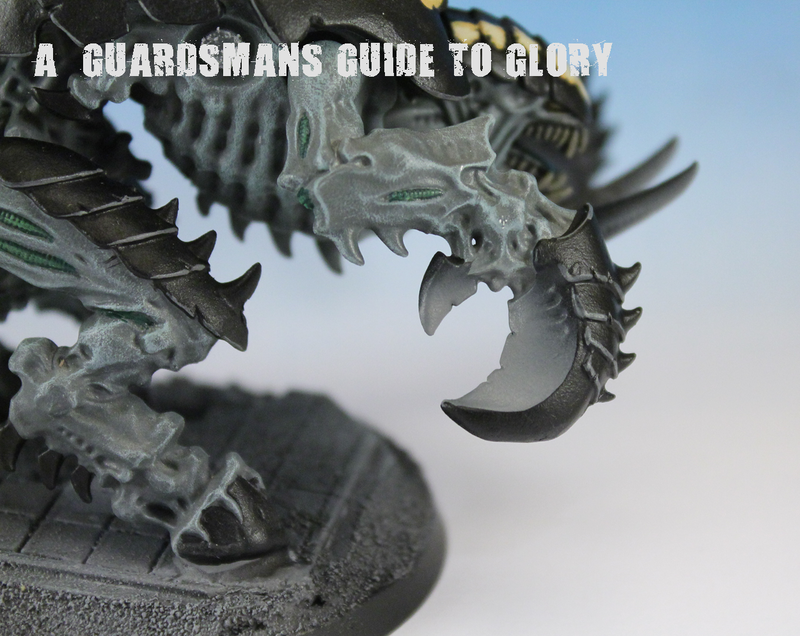 The Crushing Claws are highlighted with some Codex Grey with an airbrush to break up the black of the carapace. The same was done for the Crushers tusks. I have a huge amount of Tyranid spare parts, so the Carnifex's arsenal with be varied! The other 2 'Fex's are well on their way to completion - more on that soon. Carnifex Crush! New Additions to the Swarm! So the other day I thought I'd beef up my 'Nid list a bit. With the drop in price for Carnifex's, it seemed like the best place to start. I managed to pick up 2 new Carnifex's for £24 each (bargain!) from my FLGS, and i had another one already which i ripped the arms and head off! I'll run the 3 as a Brood. This is the one I had already, which I removed the arms and head off. 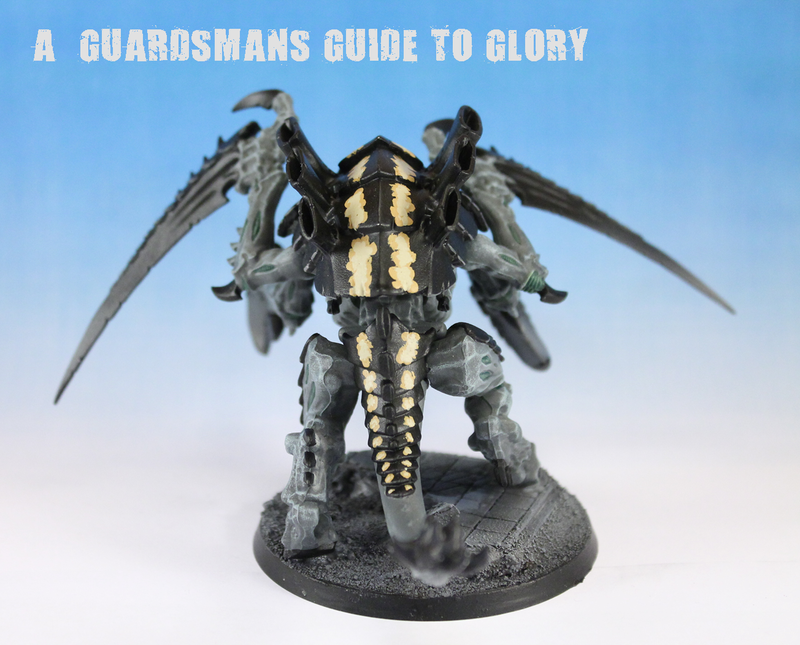 I want to arm him with 2 Twin Linked Devourers, but I only have Deathspitters at the moment which I'll proxy for now. 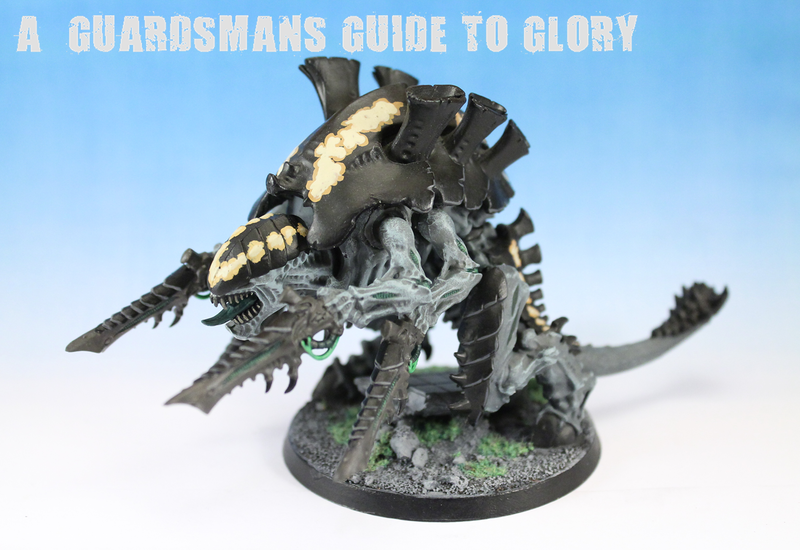 This is one of the new ones armed with actual Devourers - the so called 'DakkaFex'! To complete the Brood I've included a Crusher Fex, armed with Crushing Claws and Scything Talons. He is my tank and Fortification killer! The magnets fitted perfectly into the sockets, so no work required there. The arms required some minor alteration to get the angle right for when they're attached to the arms, but otherwise it was straight forward. 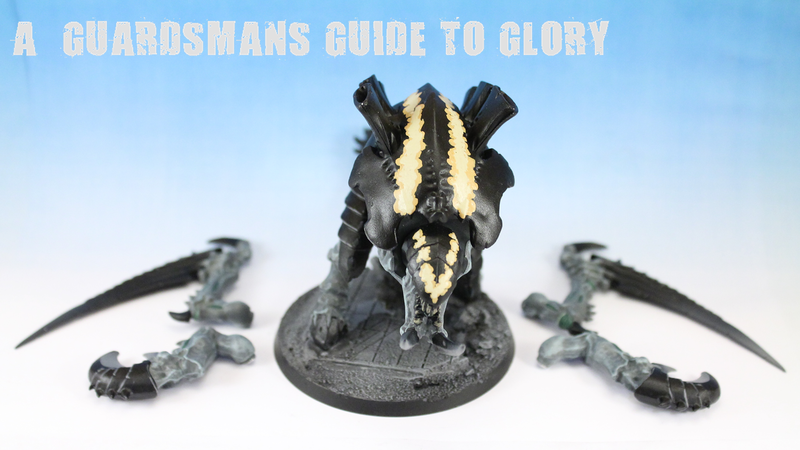 3 Fex's should be enough for my army needs, and with the ability to swap out the weapons arms, they should be all the Fex's I need! With any luck i'lll get to run them out this week and see how much havoc (and fear!) they create!